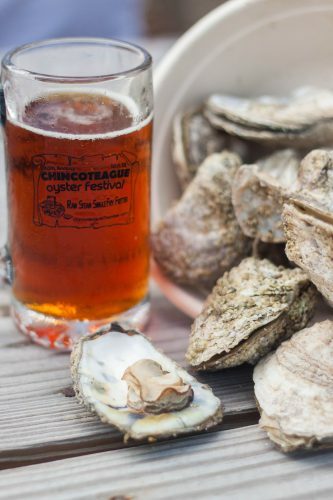 The Chincoteague Oyster Festival is held to promote the seafood industry and mark the arrival of the oyster season. Come and enjoy oysters—raw, steamed, fritters, and single fried; clam fritters, clam chowder, shrimp cocktail, salad bar, hot dogs, hush puppies, and Boardwalk fries. Beverages are included in the ticket price with beer available for purchase. Island Boy, a festival favorite for over 25 years, will provide live entertainment for everyone’s enjoyment. An Extravaganza Raffle is held with the winner receiving t-shirts, tickets, lodging, gift certificates for meals, and much more for the following year’s festival. A favorite at the festival is the “Best Place/Space Award” which is given to the best decorated area. There will also be a variety of souvenirs available for purchase. This is an advance ticketed event that is typically sold out before festival day. Enhance your Chincoteague Island experience with events happening throughout the year; including the Easter Decoy & Art Festival, Chincoteague Seafood Festival and Chincoteague Old-Fashioned Christmas Parade.